Many homebuyers (and some agents) don’t fully know or understand the basics of home inspections. Here are some frequently asked questions we get regarding the home inspection process. A home inspection is a limited, visual examination of a real estate property’s condition, typically performed during a home sale. A home inspection should be conducted by a licensed, certified home inspector. Seller’s or buyers can hire a home inspector to inspect the home. The home inspector will prepare and deliver a written report with images of findings that will help you negotiate or make decisions on the property in question. Some inspectors will be able to provide some of these extra home inspection services at an additional cost. We can also direct you to area professionals in these areas. Can You Fail a Home Inspection? No. A home doesn’t “pass” or “fail” a home inspection. 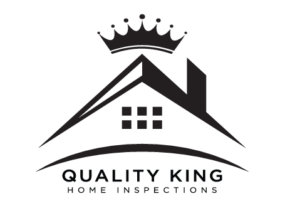 A home inspection is a visual examination of a home’s overall condition meant to point out areas that might require repair or maintenance. Each home is different and will present different defects, repairs and maintenance recommendations. It’s common for every home to have several items, so don’t fret too much if your home ends up having many home inspection items. Most home inspection items aren’t “deal breakers”. Many common items found can be fixed for a small cost and a little research. The average home inspection will cost around $350-$400. This cost will vary based on factors like size and age of the home, additional services, and distance traveled by the inspector. Any homebuyer will tell you that this is a small cost when you compare it to the investment you’re making when you purchase a home. Missing foundation cracks, a broken furnace, or a plumbing leak is often far more costly. Typically when you get an offer accepted is when you want to get ahold of your home inspector. The home inspection is usually done with a week. Feel free to let us know you’re looking for a home and we’ll keep a slot on our schedule open for you. Plan on about 2 hours for us to diligently walk through the home and take notes, pictures and observations. This time will vary depending on your engagement and the amount of defects found in the home. We welcome all of our clients to walk with us and ask questions as they come up. We are here for you as a resource. You’re not just paying for a report, you’re paying to leverage our experience and learn about your home.